One of the giants of contemporary gospel DARYL COLEY has made a return to the scene with the unexpected re-issue of an old album. Tony Cummings reports. 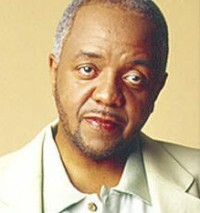 Daryl Coley is one of the giants of contemporary gospel music. But, despite his big sales and critical acclaim the California-based singer seemed to drop out from the scene, only now returning with the re-issue of his 1986 album 'Just Daryl'. The re-issue, which has been updated with the addition of some newly recorded tracks, demonstrates to younger gospel fans what older ones have known for years - Daryl's silky smooth tone, spectacular range and dazzling jazz-like improvisational skills make him one of post war gospel's great vocalists. Journalist Andrea R Williams asked Daryl what he's been up to the last few years. He replied, "I have been going out preaching. I'm one of the ministers at Covenant Worship Center in Inglewood, California, under the pastorate of Bishop Andrew C. Turner, II. I have pastored a couple of churches down through the years. I'm 50 and I started preaching when I was 17; it's been a long time. I've always been preaching but people have never known that side of me - unless they have heard me. But recently, I've had about three years of just being sick - the result of diabetes. It swelled up and got really bad. So I've been just trying to recover from that. But I'm well on the way to recovery." "About a year ago, I was at a conference. A week before the conference, the Prelate, the Bishop over the conference, called to tell me that he was diagnosed with brain cancer and cancer of the spine. We immediately prayed and spoke healing. When I walked into the conference, he said that he had received his doctor's report and there was no cancer! His word to me was, 'I know you've been going through a lot the last few years and you've been such an inspiration to me. I believed that if the Lord is healing you that he would heal me also.' How amazing! So I'm not having a pity party; I'm rejoicing because for the purposes of the Kingdom, this is what it is. I'm just excited because God is working through this whole thing. This is really blowing my mind; I'm trippin' out! This is a wonderful thing. I know people would probably think I'm crazy but it's a wonderful thing because he's sharpening areas of my spirituality." Daryl went on to explain how his very first album 'Just Daryl', originally released in 1986 on First Epistle Records, got its unexpected re-issue. "My son and my godson started a record company called Diego Music Group and I was the first artist to come out on the label. I do have three bonus tracks on there that I did with Paul Wright who we are in partnership with. The choir, the Voices Of Fulfillment, their CD dropped as well. It's an awesome, awesome choir. They have a song on there with the choir. It's wonderful. We do have six or seven artists in the wings that we're working with. It's a brand new record company; we're just excited because of what God has promised us. We're doing things with integrity. Since most of us have been artists, we already understand some of the struggles and disappointments some artists have had with record labels. I do have a new group of 10 guys; all of us sing. We go from soprano to bass. I'm also working on another solo project for me." Over the years Daryl has experienced considerable success. 'Just Daryl' was nominated for a Grammy, his 1990 debut for Light Records 'He's Right On Time' made number three on the Gospel Charts while 1992's 'When The Music Stops' made it to number one. More recently, 1997's 'Live In Oakland: Home Again' featuring a scorching duet with Vanessa Bell Armstrong on "Don't Give On Jesus" was another major gospel hit. Yet for Daryl's own success the singer is a little concerned about the direction some gospel music is heading. "I'm glad for the advancement and I'm glad that it's popular. I am not disappointed - but uneasy - about how we're going about delivering the message. I know that it is music that touches the hearts and the spirit. But in reaching other people with the sound of today, I think we need to make sure we're delivering the message of Jesus Christ and not sacrificing the message just to do music. We need to bring forth a message that changes lives and changes attitudes. I love the fun we can have doing gospel music. But in the midst of having fun, we have to make sure that we deliver a solid message about Jesus Christ - who he is, what he has done, what he is capable of doing, and what he has promised us. We need to tell people where he's brought us from. They should be able to see that we are an example of people being changed; we must change. We can't sing gospel music and turn around and do the same things that everyone else is doing. There has to be a change, a difference. At the same time, it doesn't mean that artists who sing secular music are wrong. I know a lot of secular artists who are in theatre and they have a love for the Lord; it's a job for them. They continue to pray, seek God and do his will. I believe there's a place for all of us. If we are to minister to people, we have to be available in every genre and every place where music is. People will see Christ and feel his touch through us." I had the opportunity, to a hear him live, my ears were unable to accept, this man has skills off the chart, I've never heard anyone, that can sing on this level, that was maybe 30 years ago. I AM STILL FROZEN IN TIME. I admire anyone, that can step outside the box and say this is who I am. FayePac Unleashed says, rest in peace, a job well done, you gave me joy. I've listen to Daryl music through the years and iit has been a tremendous blessing to me . I remember having the opportunity to meet Pastor Coley and take a picture with him in my hometown, Akron, Ohio. What an awesome concert and oh how her ministered to us in word and song! 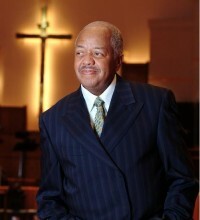 I will forever love him and his music; Rest in Heaven Pastor Coley, your Sunday has come!!! I'm a fan of the late pastor Daryl Coley's ministering music l was blessed to sing one of my favorite songs Beyond The Veil R. I. P.
I remember well some years ago Daryl and I were preaching at a friend's church in WashingtonDC. ,and afterwards going to his GodMothers'home.What a wonderful time fellowship ,side splitting laughter. Oh how honored we were to feel the power ,and presence of Holy Spirit into the early morning hours. Pastor Coley, We called him I was blessed with his fellowship.. I was honored to help him organize his church in LA. Daryl has blessed me as a young twenty year old with his music , I am waiting and eager to see what GOD will do with his sight and when he does I pray that he sends that same healing to my best friend C. Ratliff. GOD I love you and I trust you. Wow, I remember attending his voice class at PMAC that year. Will always cherish that experience. This man's legacy in gospel will live on for generations. Daryl Coley to play two British concerts.